Friday, November 16 at 6:30 p.m.
Join Us for a Night of Music and Celebration! on another year of success. Richard W. Holzman Award, and more! Special Musical Guest – Back by Popular Demand! performances, they have released four recordings to local and national acclaim. and Senior Conservation Specialist for the American Bird Conservancy. the Kirtland’s warbler back from the brink of extinction and challenges for the future. to provide nature education opportunities for students and families in Michigan. See the variety of fun Michigan experiences offered in the 2018 Silent Auction Catalog! 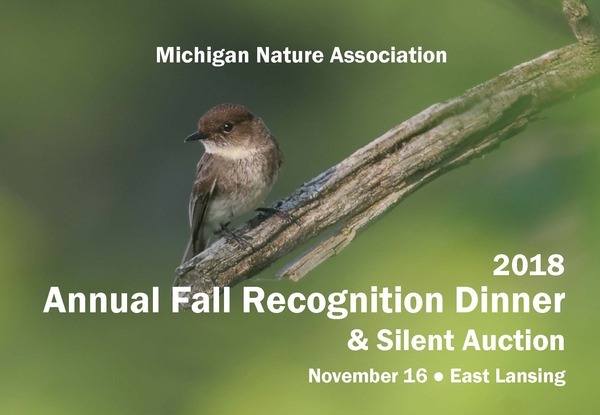 Jess Foxen at 866-223-2231 or jfoxen@michigannature.org. Please include your meal choice of either chicken, salmon, or vegetarian. The deadline to register is November 15.